ezSearch business directory - ezSearch business directory: Africa directory and search engine. Starting at business number 85. South African businesses advertise for free. Competitions | South African Online Competitions | Free Prizes - Enter and Win Enter and Win is the most up to date source for online South African competitions. 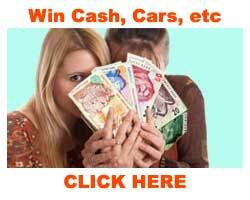 Find all the online competitions S.A has to offer. There are plenty of free prizes and goodies to be won. Asus laptops - buy Asus laptops in South Africa Asus laptops for sale in South Africa. Buy Asus laptops from reputable, trusted and established South African computer companies. Your main Sprite, Gypsey and Wilk Distributor for the Province of the Western Cape. Quality daycare, Grade R and aftercare facilities. This is a small preschool with a friendly, homely atmosphere. Find a professional babysitter, house sitter or aupair in Cape Town. Sitters4U offers child care and home care services to put your mind at ease, have a look at our selection of fantastic sitters.